As 2012 draws to a close, people around the world are looking back at everything that happened over the past year. Probably the most memorable story in science was the landing of NASA’s Curiosity rover on Mars, and for good reason. It’s a nuclear-powered robot dropped onto Mars with a crane. Let me repeat that: we landed a nuclear-powered robot the size of a car on another planet with a rocket-powered crane! There are few ways to make that sentence more awesome. But that is only scratching the surface of the year 2012. Here are the stories that got my attention over the past year, some large and some small. 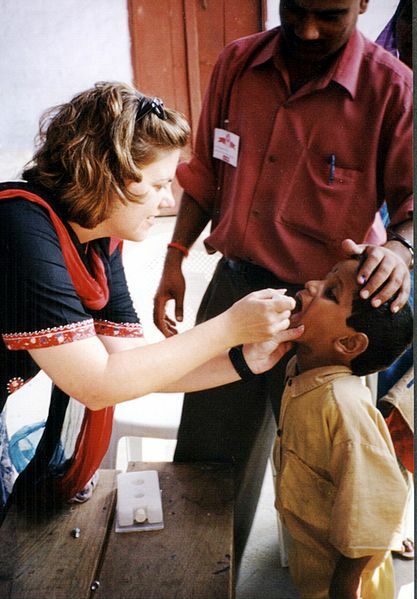 Polio has been tentatively eradicated in India. The nation is now approaching two years without a single case of polio, and a third year will certify it polio-free. Polio remains endemic in just three countries: Afghanistan, Nigeria, and Pakistan. Titanic and Avatar director James Cameron dove to bottom of Challenger Deep in the Mariana Trench, the deepest point in the ocean, in a specially-designed submarine. Challenger Deep had been visited by humans only once before, in 1960. The start-up company Planetary Resources, backed by heavyweight investors like Google billionaire Larry Page and James Cameron (again), announced that it will begin a program to eventually mine asteroids for valuable resources. With a long-term plan beginning with space telescopes and moving on to unmanned asteroid rendezvous and finally setting up fuel depots in space, Planetary Resources shows serious promise. Canada stopped making pennies. The one-cent coins are so similar to US pennies that they are often mixed up in circulation, and both countries suffer from the problem that they cost about twice as much to make as they’re worth. Canada finally decided enough was enough and shut down their manufacture. Here in the United States, fans of Abraham Lincoln and exact change have long opposed such a move. Census results indicated that less than half of babies born in the United States in 2011 were non-Hispanic whites, an intriguing preview of the demographics of the coming decades. Venus transits the Sun. Credit: NASA Goddard Space Flight Center. The transit of Venus, one of only two this century, was viewed by millions, either in person, or via the Internet. If you missed it, sorry, but you’ll have to wait a while. The next one is on December 10, 2117. More than just a rare astronomical spectacle, the transit gave astronomers a unique opportunity to test techniques to characterize the atmospheres of exoplanets, but that’s another story. Chinese astronaut Liu Yang. Credit: Tksteven (Wikipedia). China made a major step forward in its space program, sending its first female astronaut, Liu Yang, to its first space station, Tiangong-1. Tiangong-2 is forthcoming in the next year. Physicists at the Large Hadron Collider announced the discovery of the Higgs Boson, the long predicted particle that gives other particles mass. The latest results suggest that there may be two Higgs bosons, which is predicted by some extended models of particle physics, like supersymmetry…maybe. SpaceX made two deliveries of cargo to the International Space Station, becoming the first private space launch company to partner with NASA on a manned space mission. Researchers at the J. Craig Venter Institute created the first “virtual organism” by simulating a complete Mycoplasma genitalium bacterium in a computer at the molecular level. The simulated germ runs at about the same speed as the real one, which is one of the simplest free-living bacteria, having only 525 genes. The London Olympics were filled with many inspiring stories, but two in particular stand out. Michael Phelps became the undisputed most decorated Olympian of all time with 22 career medals, and Oscar Pistorius of South Africa was the first amputee to compete in able-bodied races in the Olympics. India suffered from the largest power outage in world history, leaving 670 million people in the dark–nearly ten percent of the world’s population and three-quarters of the electricity users in India. Power was out in most places for only a few hours, but this incident should serve as a wake-up call around the world for just how fast problems can cascade. Neil Armstrong, the first human being to walk on a world other than Earth, died on August 25, at the age of 82. He is survived by 8 of his fellow Moon-walkers. Felix Baumgartner jumped out of a helium balloon at an altitude of 39 km (24 miles) and became the first person to break the sound barrier in free-fall. At long last, a planet was discovered in the Alpha Centauri System, to the delight of science fiction fans everywhere. Six Italian seismologists were convicted of manslaughter for giving what was considered to be an inadequate risk assessment of a deadly earthquake. 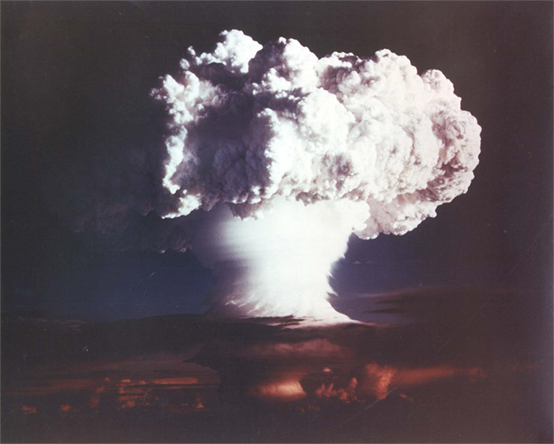 Despite overwhelming opposition by scientists around the world, the judge decided that the scientists had been criminally negligent. Hurricane Sandy over the Caribbean. Hurricane Sandy wreaked havoc throughout the tri-state area when it hit New York City. I got a decent pounding in New Jersey, and many people in the area were without power for well over a week. 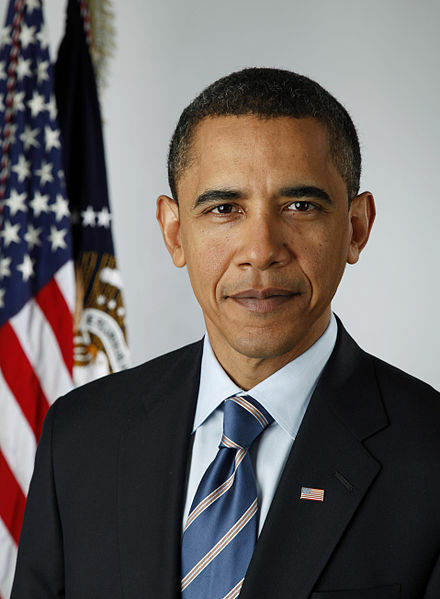 Newly-reelected President Obama. Credit: Pete Souza, The Obama-Biden Transition Project. In the minds of many, especially the United States, the year 2012 will be defined by the Presidential and Congressional elections. In what was probably the most expensive political spectacle in world history, estimated at $6 billion, the American people elected almost the exact same people who were already in power. A brief, but intense war raged in the Gaza Strip for a few days in November between Israeli Defense Forces and Hamas. The full story is too long to detail here, but one technological feat stands out. 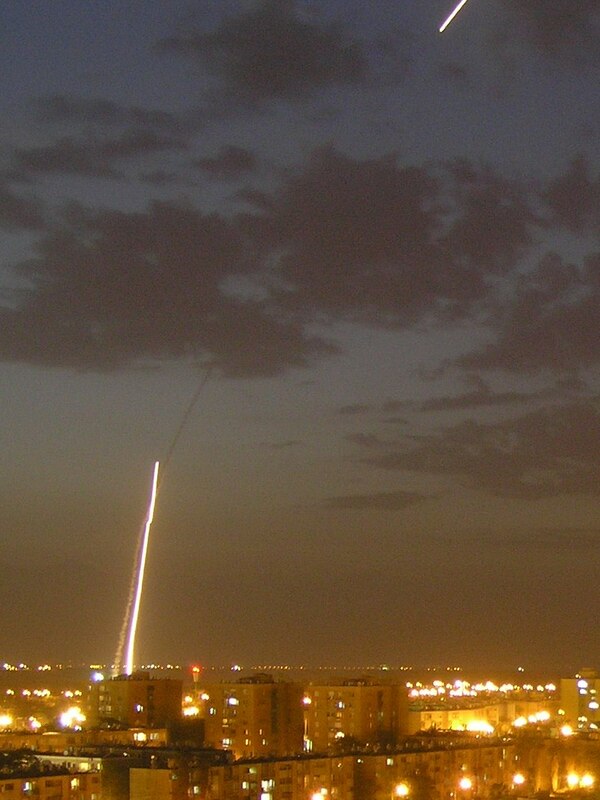 Israel’s Iron Dome missile defense system got its first large-scale test and achieved an 80% success rate at shooting down Hamas rockets, which contributed to the low number of Israeli casualties during the operation. North Korea was confirmed to have successfully launched a satellite into orbit for the first time, although the satellite itself failed. This has very serious nuclear proliferation concerns, but it is still significant that a new nation (only the 11th in the world) has achieved orbital spaceflight capability. And, of course, 2012 will be remembered for a long time to come as the year the world did not end. There are sure to be more predictions of impending doom soon enough, but since we’re still here, stay tuned for a look ahead to 2013. This entry was posted in Current events, General and tagged 2012, curiosity, elections, human space flight, james cameron, neil armstrong, transit of venus, year in review. Bookmark the permalink.